An ancient example of flood control, irrigation, and the use of hydraulic locks is seen in the ancient Egyptian management of water in the Faiyum (Fayum, Fayoum) region, called Lake Kunis or Lake Moeris by later Greeks. 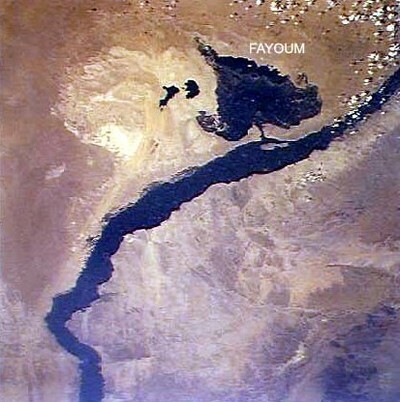 The Fayum area is lower than the nearby Nile river, and a canal between the river and the depression was dug before 2900 BC. King Amenembat improved the canal and built a diversion dam on the Nile. The Ha-Uar dam allowed Nile water at flood stage to be diverted to fill the Fayum and form Lake Moeris, estimated to be about 17,000 acres in size. Gates at both ends of the canal were used to control the flow of water, and at flood stage the water flowed from the Nile to the lake, and at other times the water flowed from the lake to the Nile. 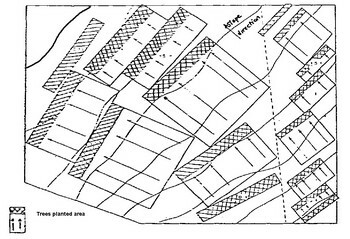 This provided flood control, provided water to the Nile system during the dry season, and sustained irrigation around the lake. From the book the Hydraulics of Open Channel Flow, by Hubert Chanson. This lake has a circuit of three thousand six hundred furlongs, or sixty schoeni, which is as much as the whole seaboard of Egypt. Its length is from north to south; the deepest part has a depth of fifty fathoms. That it was dug out and made by men's hands the lake shows for itself; for almost in the middle of it stand two pyramids, so built that fifty fathoms of each are below and fifty above the water. . . 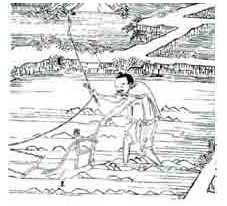 The water of the lake is not natural (for the country is exceeding waterless) but brought by a channel from the Nile; six months it flows into the lake, and six back into the river. The Lake Moeris project and its control dams and canal was abondoned in about 230 BC because the branch of the Nile it was connected to had decreased in size. The Studebaker Wagon Company started when the five Studebaker brothers joined together to form a company in the 1850s. 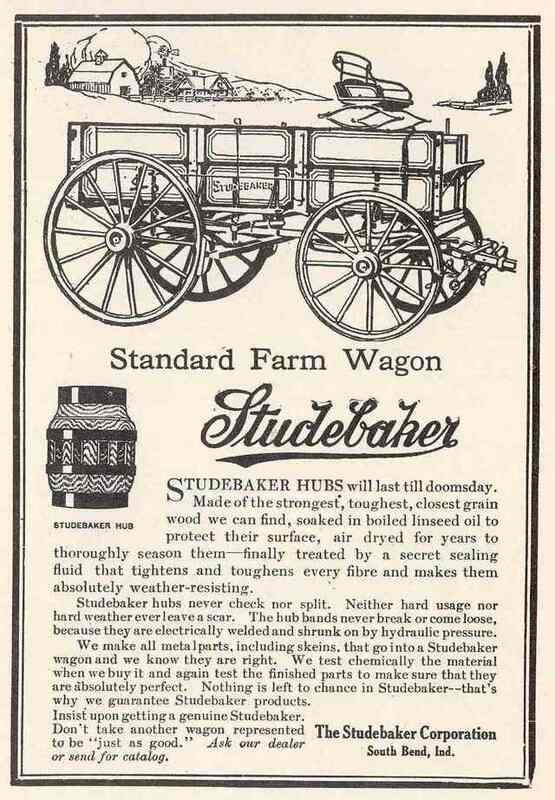 They had learned wagon making from their blacksmith father in rural Ohio. 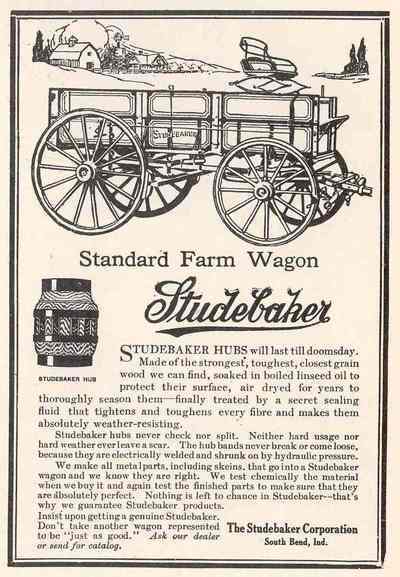 Their sturdy wagons were prized on farms, used by settlers heading West, and achieved national fame for sturdiness during the Civil War. 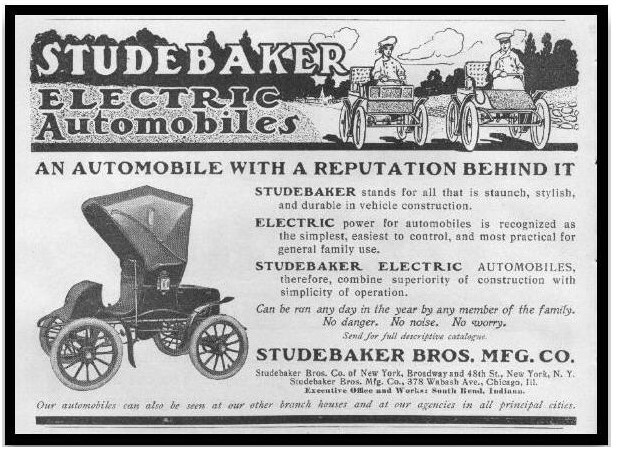 In 1892 they started building horse drawn vehicles, and their first self propelled vehicles were electric, as shown in the ad below. In the early days of steam, the farm tractors were huge machines, and were often too heavy to work the fields when they were wet. 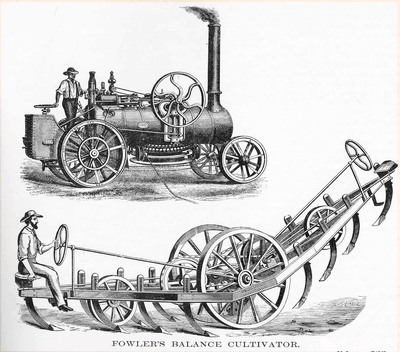 One method of using steam tractors was tried in which two steam powered tractors were set up at either end of a field, and a plow was pulled between them. 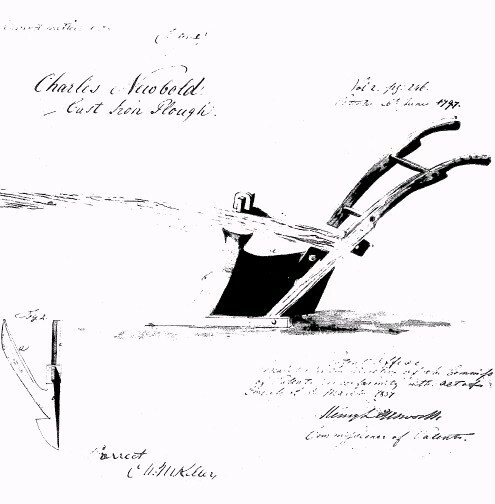 When the plow reached one tractor, the plow was built to lift one set of plows into the air, so another set of plows would be used on the return trip. 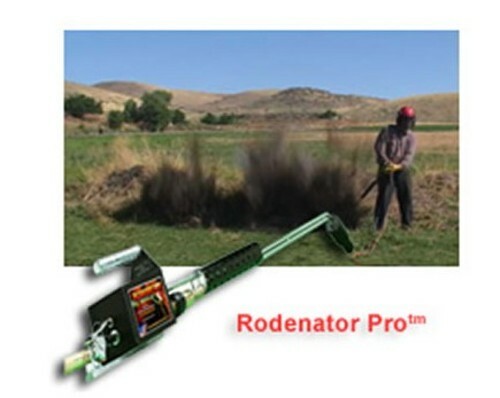 This method was used in England and tried in the U.S. but was soon abandoned as being slow and ineffective. In the American West, cattle could not be fenced in because there was not enough wood to make fences, and not enough labor to make stone fences. 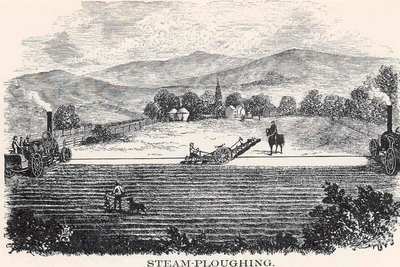 Cattle were raised on open range, and driven across many states from their home range to the rail heads in Kansas for transport to Eastern markets. There were many attempts to make a wire fence, but the cattle were strong enough to break most wires. Attempts were made to put barbs on the wire, without success. An improved barbed wire fence was made by 60 year old Joseph F. Glidden of Dekalb Illinois in 1873. His fence wire was made from two strands of smooth wire, with one wire encrusted with twisted barbs. The two wires were twisted together to secure the barbs, and the two wires proved sturdy enough to stop cattle from breaking the wires. This image from the Devils Rope Museum shows some of the hundreds of barbed wire designs that exist. 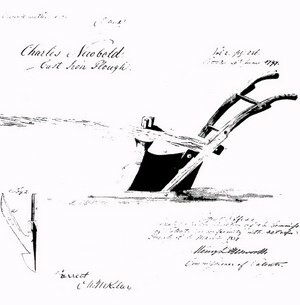 It is said that three inventions made settling the arid American West possible: the windmill, barbed wire, and the repeating rifle. 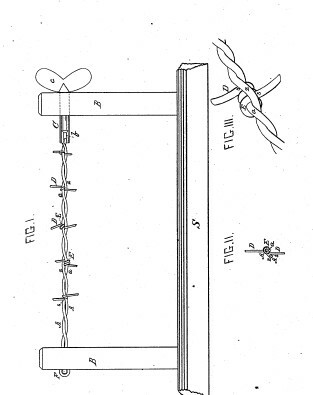 Glidden's design from his patent looks like the common type of barbed wire used today, more than 125 years later. Drip irrigation is when water is dripped onto or near a plant. The drip is usually on for a period of time (several hours), then off for a period of time. Drip irrigation was first practiced in India using bamboo tubes with small holes drilled in them. Water dripped through the holes onto plants. 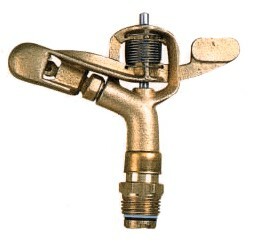 The next reference to drip irrigation was when Dr. Lester Kellar introduced his method of dripping water onto avocado trees from a pitcock in a water line. This was at a symposium in Riverside, California, in 1917. 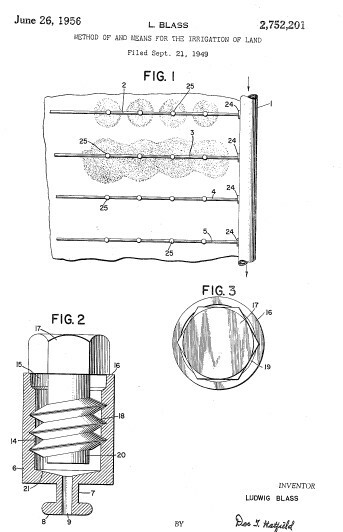 In 1956, Ludwig Bass's patent issued, with drip emitters placed on a pressurized line, which dripped 1 gallon per hour or less from each emitter. The slow but steady drip of water causes the water to penetrate deeper, without spreading across the surface of the ground. 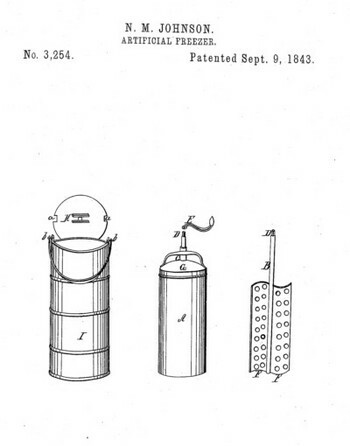 The emitters reduced the flow of water from a pressurized spray to a slow drip. In ancient times, one technique for farming in desert conditions was runoff farming. In many deserts, the land receives far too little water to support a crop or even to sustain a tree. Usually the rain comes in large quantities when it comes, and there are long periods of time with no rain. If a desert area receives an inch of rain, no plants can be grown. However, if an area adjacent to the field or to a tree is sloped to send any water recieved to a neighboring field or tree, or to a cistern or pond, the water from the infrequent rains can be used to maximum advantage. 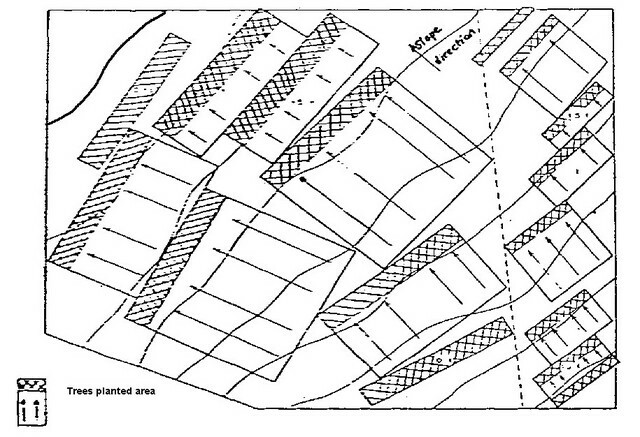 The collection areas are called catchments, and may be 25 times the size of a neighboring field. A tree can have a fan shaped catchment adjacent to it, with all the water from the catchment running toward the tree, where it may be collected in basins, and basically stored in the soil around the tree. In this way a land that receives an inch of water per year, can be made to grow crops as if it received 25 inches per year. 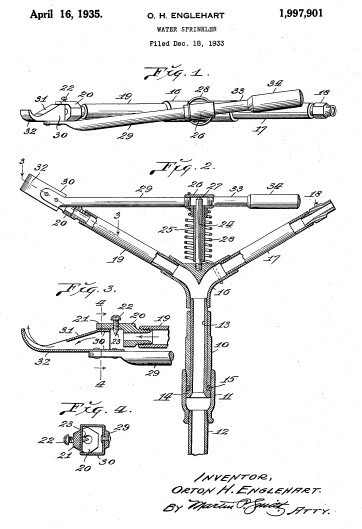 The impact sprinkler was invented by a Mr. Orton Englehart, in 1933. It was durable, and spread water over an area in a more uniform distribution, and to a greater distance, than other sprinklers then available. 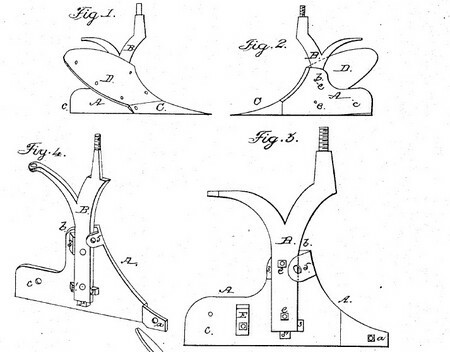 The inventors neighbors took an interest in the device, and set up shop in their barn to manufacture the sprinkler. 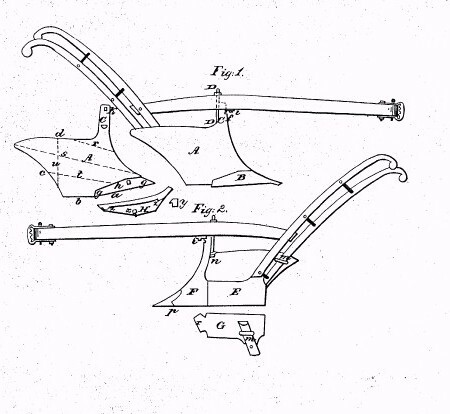 The neighbors were Clem and Mary LeFetra, and their barn based operation grew into the Rain Bird Corporation, and would obtain more than 130 other patents and 30 trademarks. The sprinklers were marketed to cirtus growers first, and to other agricultural fields and homeowners later. 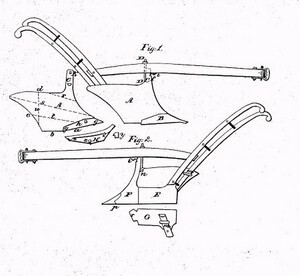 Shown below are the original design from the patent, and a current model. The ancestry is evident.